If you’ve never had gallstones, you’ve probably never thought about your gallbladder. However, if you have had gallstones, chances are high that you have had your gallbladder removed. Either situation has its own inherent issues, and one thing that healthcare providers rarely tell gallbladder patients is that surgery will forever impair their digestion and may make losing weight very, very difficult. 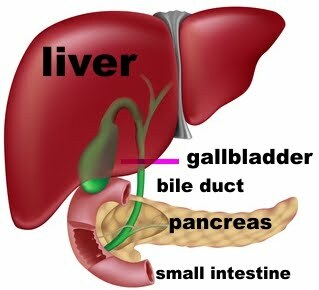 The gallbladder is a small, pear-shaped organ under your liver that concentrates and stores the bile that your liver produces to aid fat digestion. Most people don’t give it a second thought until it starts to trouble them, and unfortunately, for many years, the medical establishment didn’t realize the full importance of healthy gallbladder function, and felt its removal had few, if any consequences. I am of the opinion that we were not designed with unnecessary parts, and the gallbladder is no exception. In fact, I feel that science is just beginning to understand the true importance of healthy gallbladder function and the detrimental consequences of its dysfunction or removal. Each day, your liver produces ~27-34 ounces of greenish-brownish-yellow bile, which is concentrated anywhere from 5-18 times, and then 1-3 oz is stored in the gallbladder awaiting your next meal. When you consume foods containing dietary fats, your gallbladder is triggered to release this concentrated bile into the first part of the small intestine, the duodenum, where it acts as an emulsifier to break down those fats and aids in the absorption of the fat soluble vitamins, A,D,E, & K, and any essential fatty acids. Bile itself is an amazing substance. If you have ever vomited until a bitter, yellow substance came up — that was bile. Comprised of bile acids, bile salts, cholesterol, phospholipids, pigments, water, electrolytes, and amino acids, bile is a bitter, acidic substance that breaks down fats into components that the body can use. Healthy fat absorption is crucial to our health. In fact, we were designed to eat fats rich in healthy fats. Our brains, our hormones, and even our very cell walls are dependent on a steady and healthy supply of fat soluble vitamins and essential fatty acids.1 Vitamin A is an important antioxidant that plays a crucial role in cell division, cell differentiation, reproduction, immune function, growth, and vision. Vitamin D is a prohormone which not only regulates calcium metabolism, but is essential for the functioning of the nervous system, for bone health, for muscle strength, for immune function, regulating blood pressure, hormone production and for cell differentiation. Vitamin E is a blanket term for eight different nutrients (4 types of tocopherols and 4 types of tocotrienols) that have string antioxidant properties and also play a role in immune function, healing, repair, and cardiovascular functioning. Vitamin K is a nutrient that scientists are just starting to devote research time to. It is known to play a key role in bone health, blood clotting, and heart disease, but studies are showing that it may have many more far-reaching effects. Essential fatty acids (EFA’s), such as omega-3 fatty acids, are ESSENTIAL to human functioning. Long recognized for its powerful anti-inflammatory benefits, EFA’s are required to make the cell walls of every cell in your body and they play a key role in immune functioning, musculoskeletal health, cognitive function, and heart disease. Considering the overwhelming importance of fatty acids and fat soluble nutrients to general health, it makes no sense to willingly cut out gallbladders with no plan of action to compensate for the deficit caused by its dysfunction or removal. 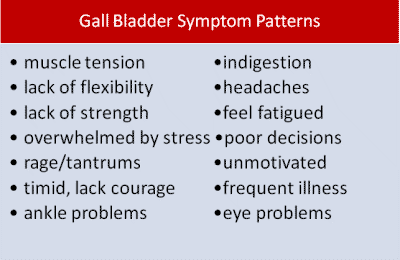 Whether you have a gallbladder that isn’t doing its job or you have already lost yours – there is a solution. 1) First and foremost, you need to concentrate on eliminating the nutritional deficiencies. This is imperative if you want to get your body out of starvation mode. I suggest that you take a high-quality, highly absorbable multivitamin such as IDNutrition from IDLife. Look for a high potency multivitamin that contains more than the 100% RDA amounts. Those amounts were designed to keep a person out of gross deficiency status, they are not amounts your body needs for optimal functioning. If you would like to take free HIPAA compliant health assessment to see what nutrients are recommended for you based on your unique health needs, please visit my site at www.idlife.com/information and click on ‘Take the Assessment’. You can order personalized vitamins directly from there or use their suggested guidelines to see how your current multiple vitamin measures up. In short, having gallbladder problems or no gallbladder whatsoever need not cause you issues. There are simple solutions that allow your body to work the way it was intended to. You can get the weight off and avoid the bizarre food cravings that come along with those nutrient deficiencies. You can feel normal after meals. You can have normal bowel movements, and you can get rid of the fatigue that overwhelms you. If you combine healthy food choices along with the simple supplements I suggest, you will see results. If you are able to combine the two with lifestyle improvements you will see results that much faster. 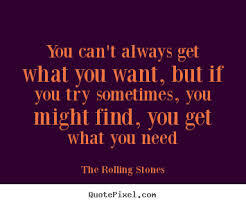 I sincerely wish that more medical providers educated their patients on the detriments of gallbladder surgery before they had it done, so they could take preemptive action, however, in the words of Mick Jagger, “you can’t always get what you want, but if you try sometime, you just might end up with what you need”. So, in closing, I hope this information is what you need. 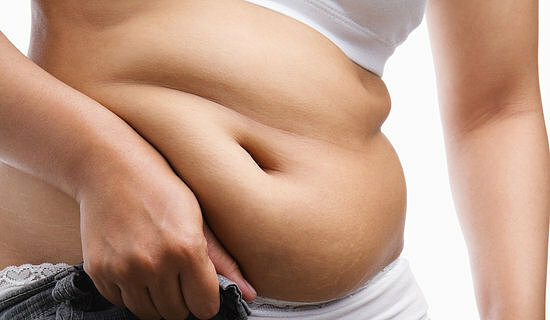 Please visit me on facebook at Weight Loss Resources with Dr. Miranda. If abdominal pain persists, you may have a problem caused by something other than the gallbladder. Other possible causes of abdominal pain include irritable bowel syndrome, inflammatory bowel disease, stomach ulcers, or pancreatitis. Please seek the advice of your licensed healthcare provider to rule out serious health conditions.